The correct development of grape bunches is influenced by several factors. Among them, we find millerandage and an excessive firmness of the grape bunch, both of which can be due to the genetic characteristics of some grapes. The presence of millerandage is reflected in the lower quality of the grapes, which is due to a non-homogeneous ripening of the bunch, a non-uniform ripening of the grape and consequently to a higher percentage of malic acid in the musts. Thanks to EXPANDO, a specific biostimulant, it is possible to effectively intervene on this issue, by increasing the setting and, in varieties or clones that present a firm bunch, by maximizing the lengthening of the rachis. This strategy allows to avoid phenomena of compression inside the grape bunch, and to uniform the dimensions of the bunches and their level of ripening. It is possible to obtain these results by combining a specific biostimulant and the used plant protection products. In order to influence the dimensions of the rachis, it is important to act early, at the 4° leaf stage, when the division and the distension of the rachis are at the highest level. 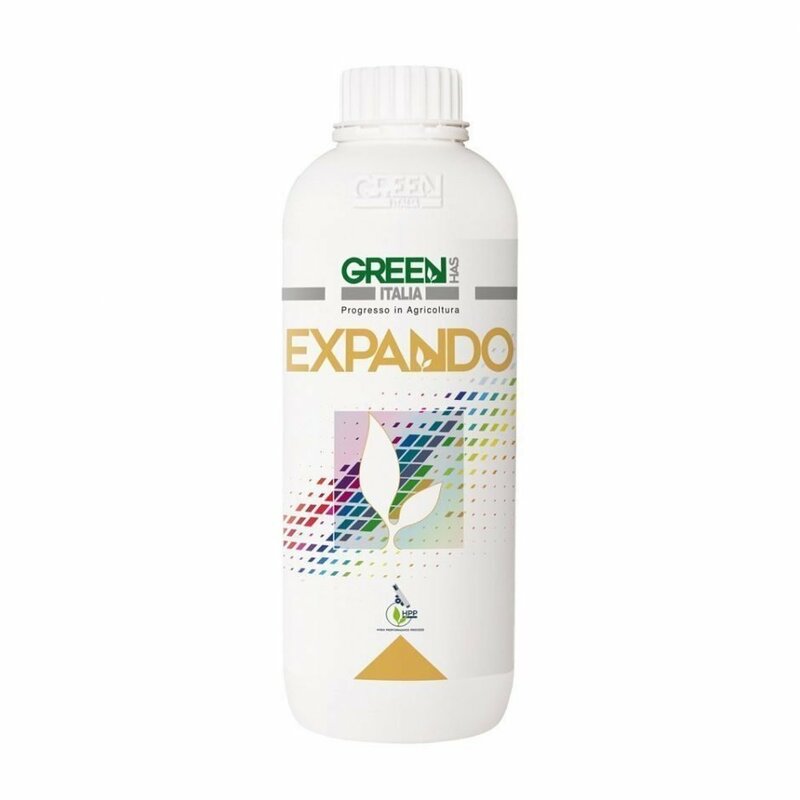 In order to positively influence the setting, it is suggested to combine EXPANDO with Borogreen L, to ensure the correct availability of boron.